There are lots of ways to make fried rice, but I find that as with most fairly simple concepts, the devil’s in the details. Little things, like making sure to cook the rice the day before, make a big difference to the finished product. 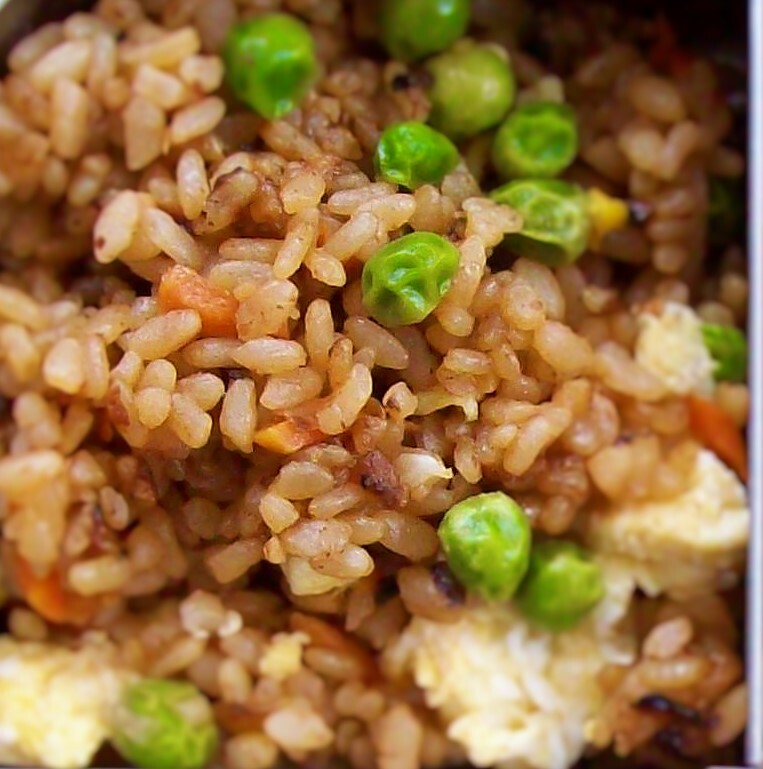 Don’t skimp on the ingredients here, either — to make a fried rice that really tastes like the stuff they make at a hibachi restaurant, you have to go all in. One day ahead: Cook rice according to package directions. Cool and refrigerate until ready to use. Heat 1 tablespoon of the oil in a wok or large heavy-bottomed skillet over high heat. Crack the eggs into the hot oil and scramble vigorously until set. Remove the eggs from the pan and set aside. Add the second tablespoon of oil to the pan and reduce the heat to medium-high. Add onion and cook, stirring frequently, until translucent. Try to scrape up any brown bits from the egg that may be stuck to the pan while the onion is cooking. When the onion is translucent, add the garlic and stir-fry for another 2 minutes. Add the rice and cook, stirring almost constantly, making sure not to let the rice stick to the pan. When the rice starts to take on a lightly golden brown appearance, add 3 tablespoons of the butter to the pan and stir vigorously to coat the rice with the butter. Add the peas and carrots and mix well. In a small bowl, whisk together the tamari or soy sauce, sherry, and 2 teaspoons of the sugar. Add the soy mixture to the rice and stir vigorously. In another bowl, melt the remaining tablespoon of butter. Add the mayonnaise, water, chili paste, ketchup, paprika, and remaining 2 tsp. of sugar. Stir well and add to the rice. Mix the rice thoroughly to let both sauces coat the ingredients evenly. Continue cooking, stirring frequently, for an additional 5 minutes or until the rice has absorbed the sauces and has a relatively dry, toasted appearance. Add the cooked eggs back into the rice, mix well, and serve warm.